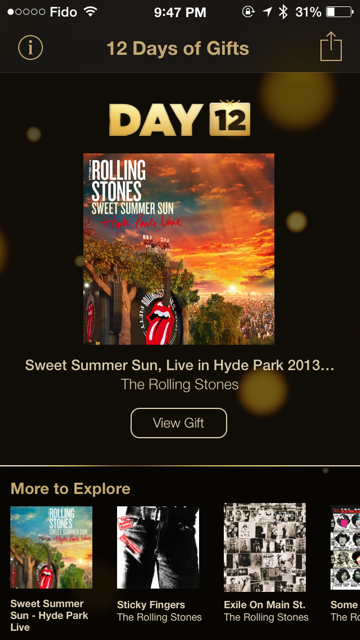 Apple’s “12 Days of Gifts” promo continued yesterday with Illusion Labs’ Mr. Crab as a free download and today, Apple is offering The Rolling Stones’ Sweet Summer Sun, Live in Hyde Park 2013 as the twelfth day’s Christmas gift. With this last gift, the 12 Days of Gifts comes to an end. Let us know below if you enjoyed Apple’s free gifts.